Note: ON THIS DAY WE WILL POST VARIOUS THINGS THROUGHOUT THE EVENING AND DAY SO CHECK BACK AND SEE WHAT WE HAVE FOR YOU!! NOTIONS AND GIFTS FOR TODAY... and more throughout the day.... as well as extra SALE NOTIONS AND GIFTS! AND PAY ATTENTION TO THE DIFFERENCES! 1. BUY A BOX. You can do this ahead of the sale to be prepared or along with your first order. See below for more details on how that works. 2. Shop for goodies that you are interested in each day. We will keep adding your goodies to your box for 5 days. Then the elves will stop for 2 days to ship. If you are nowhere close to filling your box, we will hold it over to the next 5 days. If you are near full, we will ship. We will make the call here. We will email you and let you know that you need to purchase another box if you want to keep playing the following week! 3. If you want to keep shopping and playing, you can do the whole thing again and keep shopping during the second set of 5 days. If you have already filled your box, overflowed into a bigger one [that one is on us, again see below for more details] and you need another box, you will need to purchase another box and we will start the whole game again! 4. Have fun. Enjoy the sale. If you don't enjoy this kind of pressure... please don't play because it will be frustrating for you. For the rest of you, let the games begin!!! IN PAST YEARS, MANY OF YOU HAVE ASKED WHAT IS THE BEST/MOST ACCURATE WAY TO KNOW WHEN WE HAVE POSTED THAT DAY'S SALE. SINCE WE WILL CHANGE THE TIMES THAT WE POST THE PRODUCTS TO BE FAIR TO AS MANY PEOPLE AS POSSIBLE, YOU HAVE TO "FOLLOW" US IN SOME WAY. EACH DAY WE WILL SEND OUT OUR NEWSLETTER, WRITE A BLOG POST AND TRY TO LET YOU KNOW VIA INSTAGRAM. THE MOST RELIABLE WAYS ARE THE NEWSLETTER AND INSTAGRAM. IF YOU SUBSCRIBE TO THE BLOG, THE SUBSCRIPTION ITSELF OFTEN COMES LATE OR THE FOLLOWING DAY. THE DESCRIPTION OF THAT DAY'S PRODUCTS WILL BE ON THE BLOG EACH DAY BUT YOU MIGHT WANT ANOTHER FORM OF FINDING OUT THAT WE HAVE "GONE LIVE" FOR THAT DAY. Generally the blog subscription is a wonderful way to know what is going on around here and to see updates and will often give you info that won't be in our newsletter. But for information that is as timely as updates about the 12 DAYS sale, the newsletter or IG are the ways to go because they are immediate and you can see/notice them right away. IF YOU HAVE THE CAPABILITY TO CREATE SOME KIND OF AN ALERT, YOU MIGHT WANT TO DO THAT. THE PEOPLE WHO HAVE DONE THAT IN PAST YEARS, HAVE BEEN THE MOST SUCCESSFUL IN GETTING THE GOODIES THAT THEY WANTED! THE WAY IT WORKS THE BEST IS: SET UP AN ALERT, SEE THE NOTICE COME IN THAT WE HAVE GONE LIVE, GO STRAIGHT TO THE SHOP OR QUICKLY TO THE BLOG TO SEE WHAT THE GOODIES ARE, PUT THEM IN YOUR CART AND CHECK OUT. DON'T TRY TO HOLD THEM IN YOUR CART. IF SOMEONE ELSE CHECKS OUT BEFORE YOU AND THERE WAS ONLY 1 ITEM LEFT, THEY WILL GET IT AND YOU WILL NOT :-(. TAKE A DEEP BREATHE & ENJOY THE RIDE! * The Fig Tree 12 Days of Christmas sale will start on Black Friday, the day after Thanksgiving, and will last for 10 days this year [the elves are getting too old for a full 12 days]. It will go for 5 consecutive days. Then the elves will take 2 days off to pack boxes and ship out goodies. Then it will go for another 5 days. * Each day a different kit, stocking stuffer and/or home dec goodie will be advertised- on some days several of each! I CAN'T WAIT TO SHARE WITH YOU WHAT WE HAVE COLLECTED FOR YOU THIS YEAR! * Each special offer will only become available on that one day. Each goodie will only be available while stock lasts. Most of the items offered will sell out on that day, a few will last a few days. Please believe us that some items will sell out crazy fast [some of them in minutes] and some will last all day based on popularity and stock. Although we would love to be able to carry an unlimited amount of goodies, we are limited by how much stock we can carry of any given item and how much space we have! EACH DAY IS BASICALLY A LIMITED QUANTITY FLASH SALE. * We never know which ones will sell out the fastest! If we are able to get more in stock of any popular product, we will try but we can't guarantee that anything that sells out will come back in stock. If they can, it will probably not be a part of the sale but something that we offer after Christmas for a separate January delivery. Most of the kits will not be available again due to fabric no longer being available. * For those of you who want to continue to purchase items throughout the 12 days of the sale but want us to hold your purchases for one shipment, YOU NEED TO BUY-A-BOX. SEE MORE INFO BELOW [ I know that some of you want to receive your presents as you buy them each day, in which case you don't need to buy a box and just choose regular shipping]. The box is an actual product available on our homepage. You only need to purchase it once for each set of 5 days- either before the sale starts or on the first day that you purchase a 12DAYS item- but you need to purchase it as an actual product. Then for all the remaining purchases you make, you will simply choose the "I BOUGHT A BOX" option in the shipping directions during the checkout process. If you select that option without buying a box, we will not be able to ship anything to you because you will not have a box for us to put your goodies into! 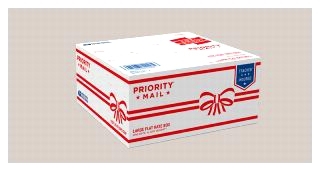 Just like in past years of the 12 DAYS OF CHRISTMAS we offer you the choice to hold all of your daily goodies to be shipped together at the end of the first set of 5 days and then again at the end of the second set of 5 days so you can save money on the shipping costs and keep adding goodies to your box! Its an awesome option and a lot of fun! Given how popular this sale is, and how crazy it is for us, we have had to simplify some of our processes! Regardless of whether you think you will get the smaller stocking stuffer kinds of items or the "bigger ticket" items and you are a die hard 12 DAYS OF CHRISTMAS fan, you will BUY-A-BOX as your shipping option. If your goodies "spill" out of the medium box you have purchased, we will upgrade you to a large box... AT NO EXTRA CHARGE. Once your large box fills at the end of the first 5 days, we will send it to you. If you spill out of that, you will need to purchase another medium box and go from there with a free upgrade again, etc. If your box does not come close to filling throughout the sale and all we need to send your goodies is an envelope, WE WILL DONATE THE SHIPPING DIFFERENCE TO OUR LOCAL FOOD BANK. We will downgrade those orders into envelopes, calculate the difference and once we have everyone's "donations", we will let everyone know via our newsletter what that amount is and donate it to the Alameda County Food Bank. IN FACT WE WILL MATCH ANY AMOUNT THAT GETS ACCUMULATED FROM UNUSED SHIPPING CHARGES AND ADD THAT TO THE CHECK. So please don't worry about whether or not you are going to fill up your box. The extra $7 or so that you might not end up needing will go to a very worthy cause during this holiday time. Thank you in advance!! 1. So that you are ready for the sale on Friday, BUY-A BOX now so that you can focus on purchasing your items once they start going up on Day #1. Given how quickly the items go, etc, buying your box ahead of time is your best bet! 2. When you are buying your goodies, select the "I BOUGHT A BOX" choice in the shipping drop down menu so that you are not charged for shipping each time you place a new item in your box. This is basically your free shipping option for the rest of the items for the first set of 5 days [until you fill your box]. 3. If you do not select "I BOUGHT A BOX" as your shipping option when you purchase items, we will assume that you wish to receive the product right away and you want it shipped right away and you do not wish to accumulate items. Believe it or not, there are some customers for whom this is their own personal Christmas and they look forward to receiving the packages each and every day. Enjoy! 4.Please know that if you forget to select the "I BOUGHT A BOX" option for shipping during checkout, we will not be able to change it. Due to the sheer volume of 12 DAYS customers, we really only have the opportunity to see what is chosen and ship or not ship based on the info you have provided during checkout. Thank you so much for understanding! Remember you will BUY-A-BOX only once before the sale begins or at the time of your first purchase. This will make all of us- you and us- ready for the sale before it even begins!! You can of course still BUY-A-BOX on the first day of the sale or on any other day that you begin shopping the sale. Basically if you want to accumulate your goodies, you must BUY-A-BOX first. If you fill up your box, we will ship it to you and email you right away to let you know that you will need to purchase a new box if you want to keep shopping for the next 5 days. If you purchase more than the LARGE UPGRADE that we provide at no additional cost, we will start a new box for you and charge the box to the card that you are using. We will basically start the whole process over again for you! PLEASE REMEMBER THAT DUE TO THE VOLUME & CRAZINESS OF THIS SALE, WE CANNOT MAKE ANY CHANGES, ADDITIONS OR SUBTRACTIONS TO ANYTHING THAT YOU PURCHASE. International orders will be assessed actual shipping charges at the time of shipping. International orders cannot use PAYPAL since we need to be able to access the payment info during shipping.